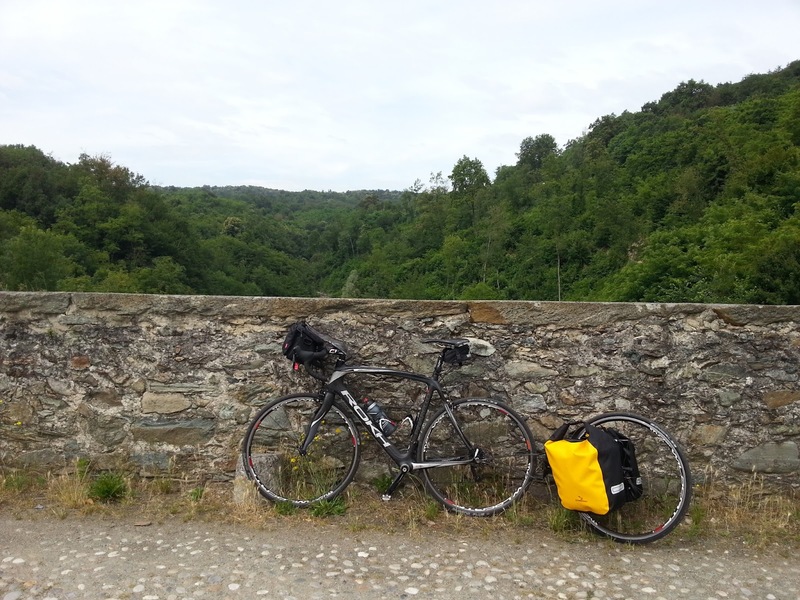 One of the most emotional things when travelling with bike are the encounters (the encounters of the destiny as Lorenzo is used to call them). The meet up today with Adolfo from Barcelona who is travelling with his mountain bike around the world with the target of reach the Nepal has been a proper encounter of the destiny, I do not believe in randomness in this case. 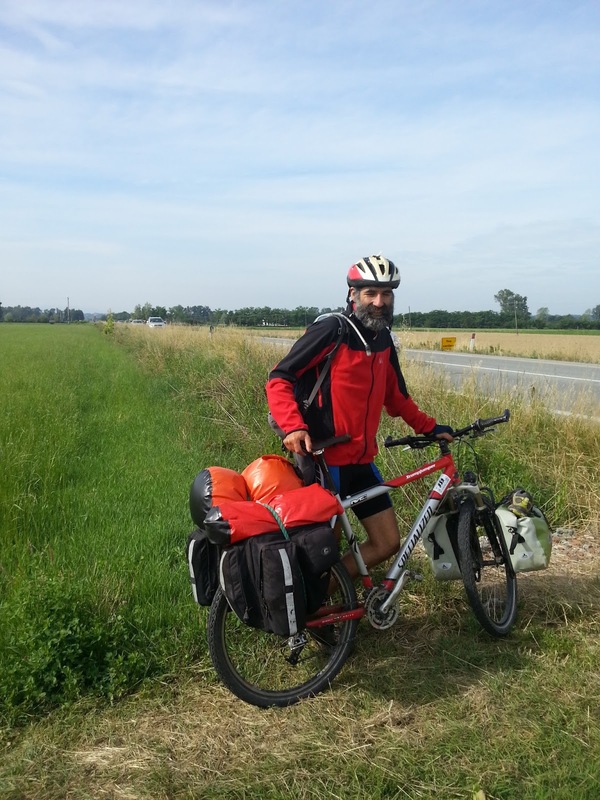 Adolfo was riding in my opposite direction, towards Torino, while I was riding toward the Aosta Valley, when he saw me with my extrawheel he understood that I was a bike traveller and he soon tried to stop me in order to ask me some information. We introduced each other and of course he also mentioned about his blog called alguienquepedaleaporahi, I hope he will hav time to update it, it would be nice to follow him on cuboviaggiatore. Adolfo had a problem with his rear wheel, he was asking me to show him a good bike shop to repair it. I showed him the way to get to Cicli Bergamin in Torino. I had information later from the bike shop owner that everything was repaired and Adolfo could resume his trip toward Nepal. Have a good luck Adolfo. We will follow and support you. 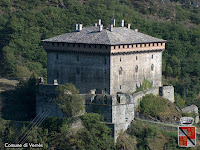 My trip resumed slowly towards the Aosta Valley, the first stop was for taking some pictures at the Agliè Castle, where it is of course possible to visit, but unfortunately my short available time didn't allow me to do. 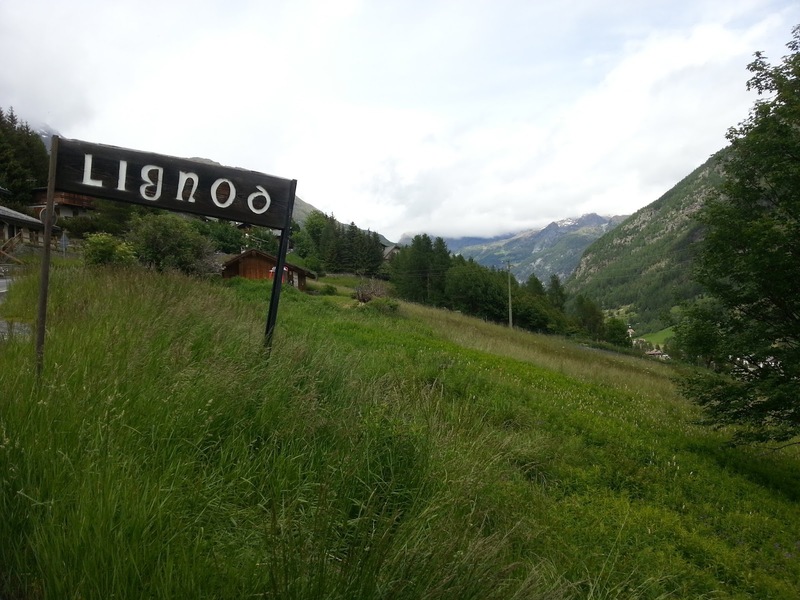 Second stop for a having a sandwich in Baio Dora. To take a picture of the Preti Bridge I couldn't miss. 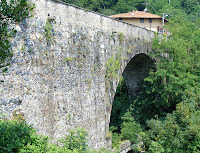 The history behind this bridge is very interesting and you can read on this link (unfortunately only in Italian). 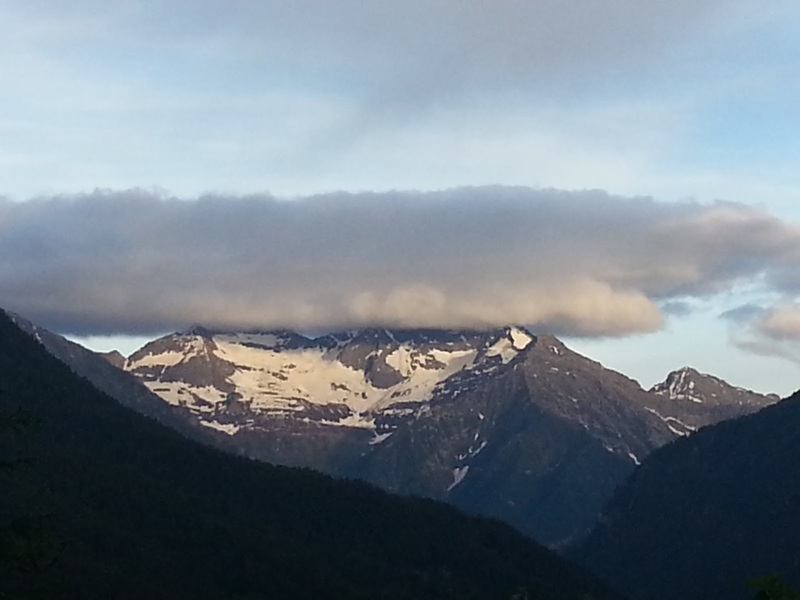 It is always impressive riding close by the Fort Bard, it is a pity that in the SS26 there is too much traffic. This part of the valle,y even if it is a flat area, is affected by strong winds, because this part of the Dora Valley is very narrow, with the result that riding become very tough. 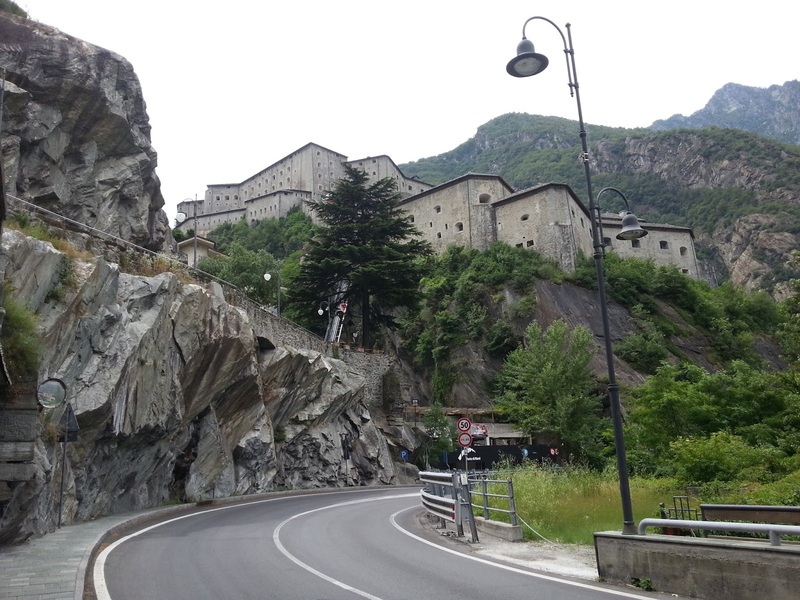 At least up to Quincinetto I could avoid the SS26 that as mentinoed above is not too bike friendly road, in some cases the guardrail is built on the white right lane. I personally think that roads like these (there are a lot unfortunately) should be forbidden by some regulatory law. 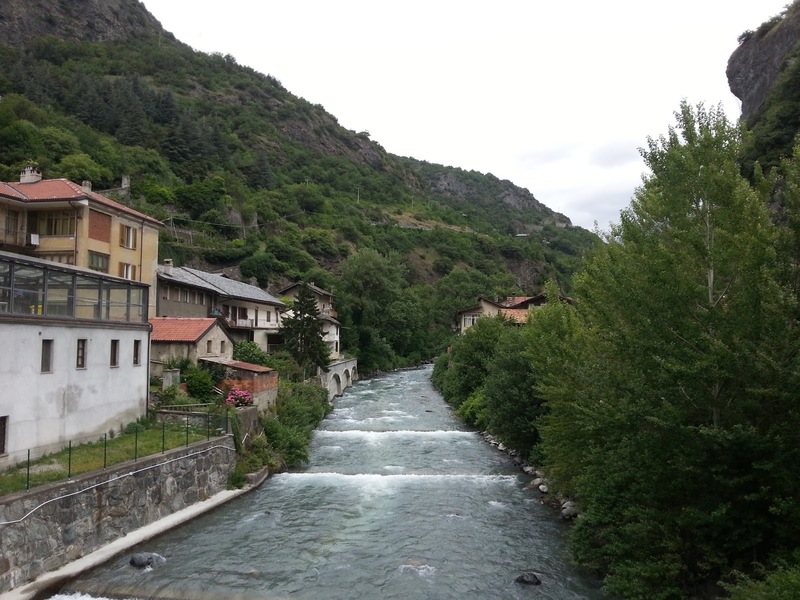 The impressive view of the Evançon creek which is crossing the town of Verres. 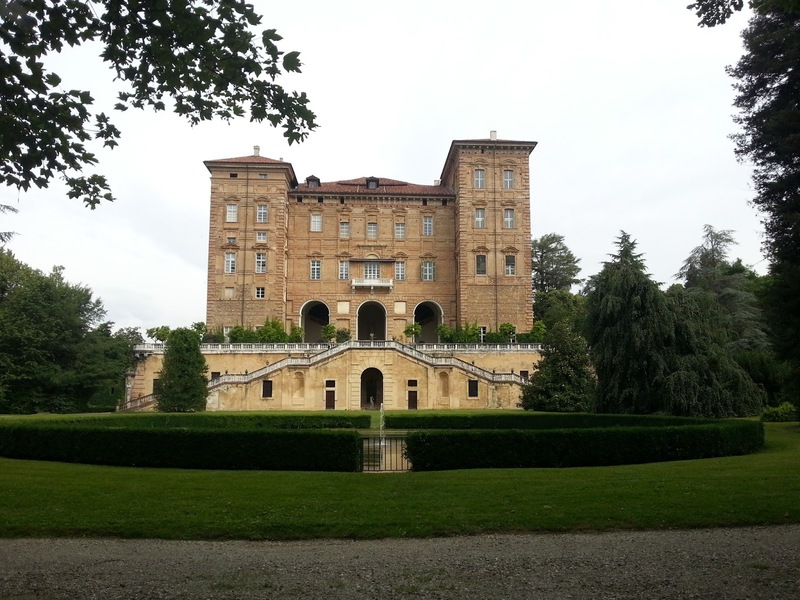 Verres is also famous for his Castle. 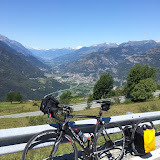 Even the road in Ayas Valley is not too large and the guardrail is really annoying built on the white lane, forcing the bike to stay in the cars lane. 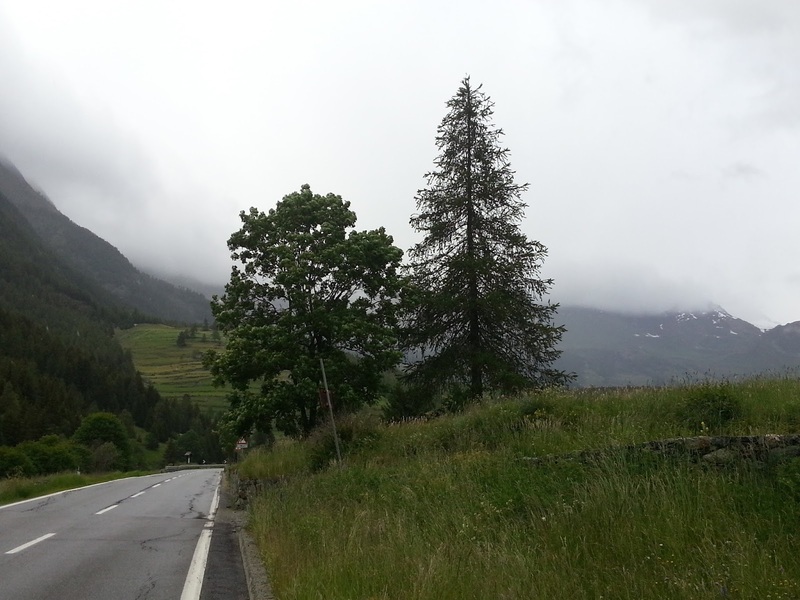 The uphill towards the Ayas Valley has brought with it the rain, a light rain anyway the temperature were around 20 degrees, it doesn't matter the mountain is fascinating under any weather condition. How can we not share the famous Einstein sentence? 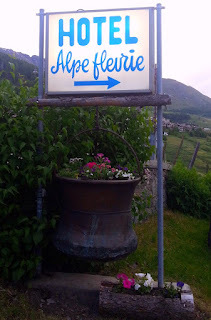 "The life is like riding bicycle, if you want to be balanced you need to move"
A friend of mine reported that on the Monte Rosa peak was snowing in the same moment I took the picture!!! 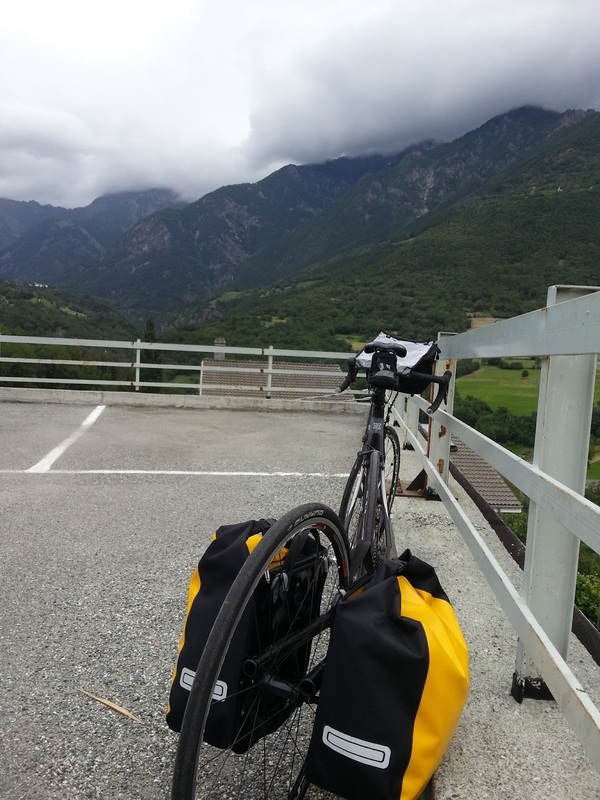 Arrival in Lignod under the rain. 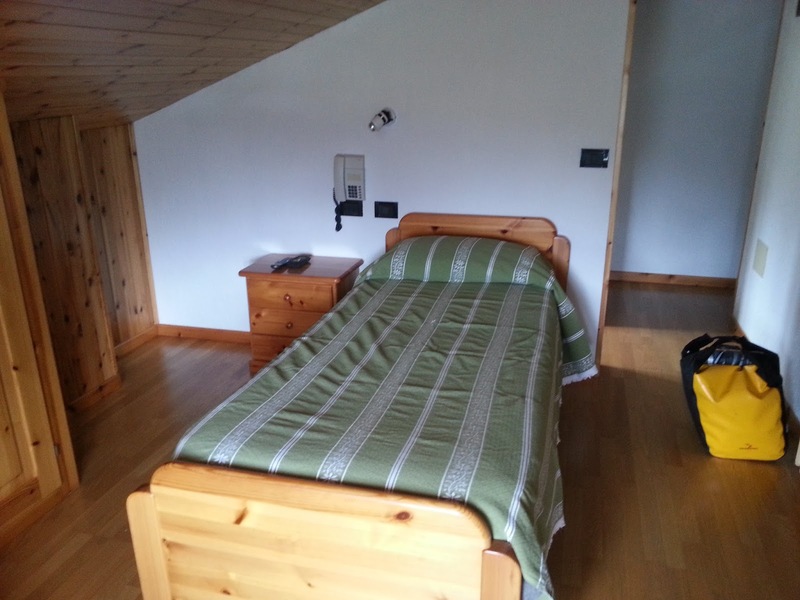 Very nice hotel with in Aosta Valley style wooden furnitures, excellent and abundant food, but especially the owner was really kind and available to help me on any of my needs, from providing a secure place for the bike, switching on the heating system, up to lend me a pair of trousers because, never happened to me before, I forgot tu put them in my luggages. I cannot describe my face when I realized I had not with me my trousers. I would have been funny to have dinner with my bike short trousers. 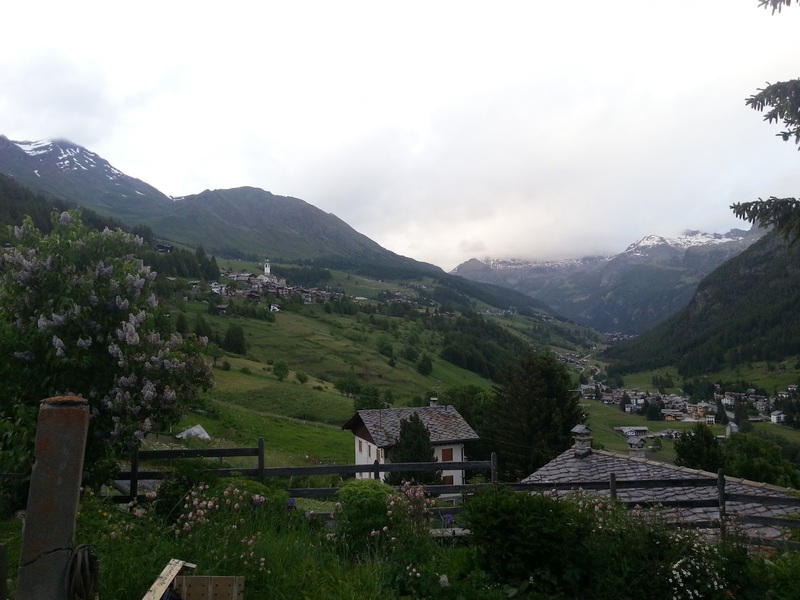 Dinner time, this was the view from the restaurant on Monte Rosa massif. Before falling asleep, really early actually, this was the view from my hotel room window.